Can a redesign kill your company? Short answer is yes. Long answer, look at Snapchat. With failed attempts in launching Spectacles in 2016, to the alleged copy catting done by Instagram and its parent company in 2017, this redesign may be the last nail in the coffin for Snapchat. If you’re wondering what update I’m talking about. Snapchat decided in early February, it was time to give its app a new look, as the look and feel has been pretty consistent since its launch in 2011. This redesign included splitting out the app into two sections, friends on the left and media content on the right. Giving their new layout, at least on paper, the hopes of growing its advertising potential by having a media specific section of the app where you could see what certain brands, news outlets, and any other content creator was doing. While no one really loves change, the reaction on the new design has been resoundingly negative. 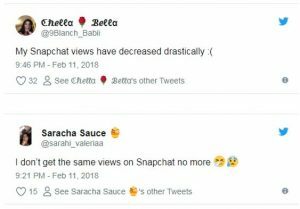 While there is outrage, even petitions being signed to change Snapchat to its original format, you may think it will blow over and users will go back to being happy Snapchatters. 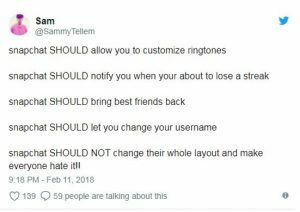 While this may be true, with any redesign, app or website, if the UX isn’t a positive change or the new change becomes too confusing for your user base, you can expect to see a decrease in visits. When that visitor decrease comes during a critical time in your company’s livelihood, for example, when a big competitor starts to offer a very similar product, it can be just what your user base needs to jump ship. In addition to avid users “hating” the change, media pickup of a lackluster update can just add more fire to the flames. Where will Snapchat end up? 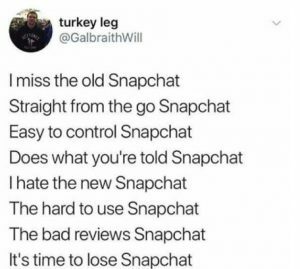 Will Snapchat end up as the next MySpace, another platform that tried to compete with Facebook and who’s popularity fizzled out due to updates done on the site or will the Snapchat keep it’s streak alive and give Instagram Stories a run for its money. Only time will tell what the future holds for the company, but it’s looking like a rough couple of months as GenZ users look for alternatives to the app. If you are planning a website redesign and need help, call Anvil!